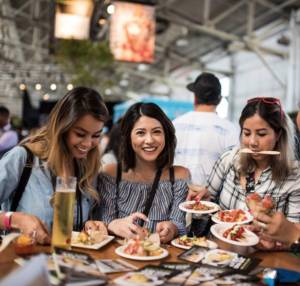 Join us for Eat Drink SF – San Francisco’s premier annual food, wine, and spirits festival that celebrates the Bay Area’s world-class chefs and restaurants. At the Saturday evening grand tasting on Aug. 26 Chef Kelsey will be serving a Summer Corn Panna Cotta with Marinated Corn and Truffle Salad in VIP. Grab your tickets at eatdrink-sf.com.